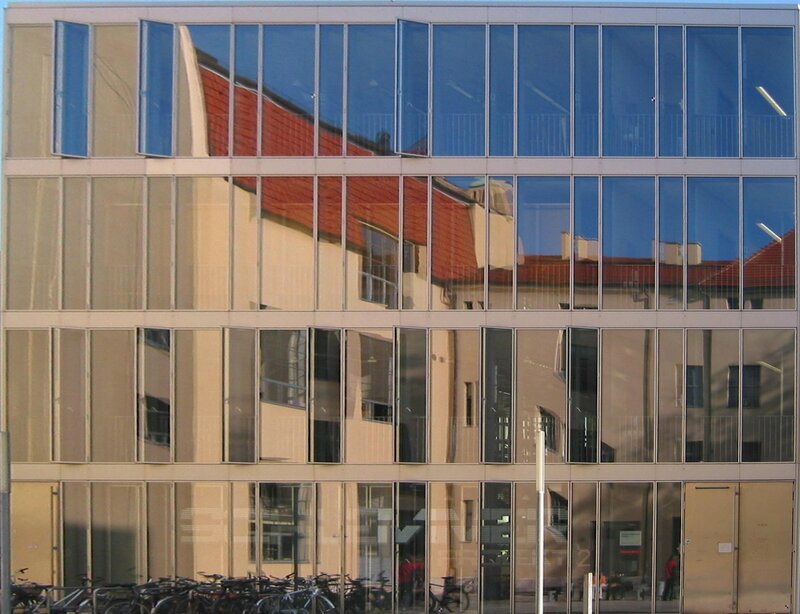 Why should I study at Bauhaus-Universität Weimar? Bauhaus-Universität Weimar was originally founded in 1860 under the title of Grand Ducal Saxon Art School, which later in 1905 got merged with Weimar Sculpture School, and finally gained its true reputation when it was named after “Bauhaus” by Walter Gropius in 1919. Throughout its history, it has always been focusing on a structure that is based on creativity and collectiveness. Today, the school welcomes everyone from all around the world with its four faculties of Architecture and Urbanism, Civil Engineering, Art and Design, and Media. The education specializes both in the artistic and technical fields; from fine arts and product design to media design and media culture, from architecture and civil engineering to environmental science and project management. The faculties are grounded on the notions of continuously producing, working in collaboration and learning new technics/technology while still paying attention to hand-crafting. Hereinbelow, you will find a brief list of the reasons that may take your attention while deciding on coming for a study at Bauhaus-Universität Weimar. It is a privilege to study in a school that has been built underneath the roof of a worldwide known movement: Bauhaus. The creator of the school who is also the founder of the Bauhaus, Walter Gropius, was aiming to establish an education system that would gather people from a diversity of interest, language, culture, race or religions. His approach was to combine art and craft, artist and craftsman. He also wanted different professions to work together under various workshops, talks, and gatherings. The school still follows the tracks of the movement while opening its windows to brand-new method, idea, and trends. The year 2019 marks the 100th birthday of Bauhaus which is going to be celebrated in the school and all around with festivals, exhibitions, talks, performances, lectures and many more. Did you get graduated from the fields related to art, architecture, design, media or engineering? Bauhaus-Universität Weimar has various options under the faculties of “Architecture and Urbanism”, “Art and Design”, “Media”, and “Civil Engineering” for those who are willing to get an education concentrated on creativity and production. There are a bunch of workshops to choose from; wood, plastic, metal, fabric, photography and many more depending on your personal interest. The only condition of using the ateliers is getting one time instructions (usually at the beginning of the semesters) from the tutors. The university library is located in the heart of the city; taking attention with its modern, concrete façade. With over 5,000 m2 of usable floor space, the library houses a collection of approximately 488.500 books and other media (as of 2013). The spacious working spaces will be your favorite to work in for hours. It also involves an integrated main auditorium. Currently, Germany is made of 16 states. The one that Weimar is located in is Thuringia which is in the east-center of Germany. The word “center” is very important here. Because being in Weimar means being in the middle of the whole country. When you are a student, you will have many free days to travel to other cities. In order to go to the bigger stores for any kind of shopping, Erfurt, the capital of Thuringia will always be there to go by train for free. If you want to travel to big cities, you will be in Berlin, or in Frankfurt in around three hours. Furthermore, the other big cities of Germany such as Hamburg, Cologne, and Munich will take around six hours depending on your selection of transportation. When it comes to the daily life in Weimar, since the city consists of only 65.000 people, you might expect a dull routine. Well, that won’t go that way! The student population combining the ones from Bauhaus-Universität Weimar and the music school University of Music Franz Liszt results as a diverse range of activities that can be found throughout the education. There are plenty of events related to art, architecture, design, music; plenty of bars that will be open even on a Monday night; plenty of gatherings including the ones run by the universities themselves. On the other hand, your time spent in Weimar will give you the opportunity to focus on yourself; reading more, thinking more, exercising more, while also going out and having lots of fun. The small size also means being close to anything no matter where you live! There is a big park located in the middle of the city which is full of people running, cycling, doing picnic or barbecues, especially on sunny days. This means, taking a break from your busy routine and getting some fresh air. Weimar is the greenest city in its own state. While walking home, going shopping, or even looking out from your window, you will see a tourist group wandering around, passing by a tour bus, and discovering the rich history of Weimar. The city takes an important place in the history of Germany with the political stance and cultural heritage. Compared to being relatively small, Weimar has a great variety of museums, around a number of 20, and with the celebrations of Bauhaus centenary, it will gain a brand-new one by 2019. You can type in keywords such as your interest or city, and constantly check the job opportunities from this link before you come to or while you are in Weimar. As a student, you are allowed to work up to €450 without paying any taxes. There is also the chance to work in the cafes, restaurants, and bars. Compared to other European cities, Weimar is pretty affordable in order to fulfill a student’s need. It offers an average amount when it comes to the rents with more housing options. Furthermore, the semester fee of Bauhaus-Universität Weimar is around €150 (might differ by the year). Plus, as a student, your school card will give you unlimited free pass to public transportation in Thuringia including the buses and trains. There is a public pool called Schwanseebad that offers both indoor and outdoor (will open soon) options. It will cost you €2.20 per hour as a student. Other than that, the sports center of the school has a wide list when it comes to sports; from fitness to yoga, from kick-box to table tennis at fair prices. If you want to add a new language to your knowledge, the language center will be giving courses every semester. Either an intensive or a normal one, it will cost a maximum of €40 for the whole section. The school welcomes students from any part of the world no matter where they were born or where they are from. It will give you a chance to meet people from various culture and interests, and make new friendships.